Plans for a radical change to the secondary school system in Harborough have been given the go-ahead by the Government. The change means that all three state secondary schools in the Market Harborough area – Kibworth High, Robert Smyth and Welland Park – will all teach the 11-16 age range. Robert Smyth will be the only “all-through” school, taking pupils from 11 to 19. The shake-up will happen from September next year. Kibworth High already has permission to change from an 11-14 to an 11-16 school. They change this September. 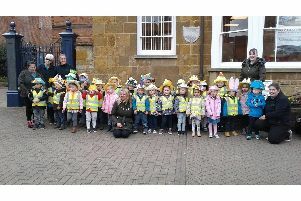 She said they reflect the rapidly growing population of the Harborough area, and gave local parents more choice. “There is also a strong educational rationale behind the changes,” she said. People in Market Harborough interviewed by the Mail were generally positive. Mum-of-two Dawn Carter said: “Yes, I can see the point of not changing school at 14. Denise Smith said: “My children have gone through the system now but at the time they were at school, Welland Park was going through a not-so-good phase. But retired Dennis Humphreys said: “The trouble with two schools in a town is you get one that’s better than the other, and everyone wants to go there. Mrs McBrearty did address this and said most cities and towns had choice, and that it was the old 11-plus exam that created a two-tier system. Mail letter writer Mark Neale said he worried that because proximity to the school was a factor in deciding which pupils a school would accept, village children will always be at a disadvantage.